Rockstar announces Red Dead Redemption 2 - Trailer Coming 10/20 — GamingWithSwag.com - Dads By Day, Gamers By Night. Tears of joy. That was nearly my response to the announcement of a sequel to the amazing Red Dead Redemption. I am a repressed adult, tears can be a tall order. However, this news represents one of the few solid day one purchases I plan for 2017. The other being the new Mass Effect:Andromeda which they also need to start teasing. 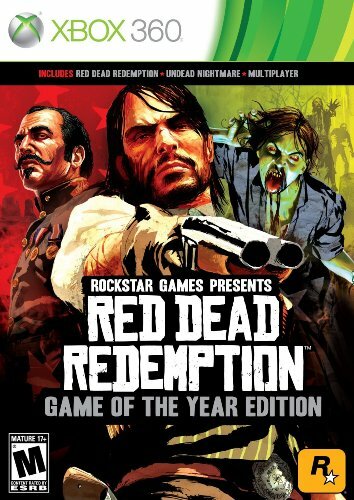 If you haven't played Red Dead Redemption I recommend picking it up because it holds up really well and will whet your appetite for the sequel (rumoured Prequel?). If you have a PS4 you are apparently out of luck because they won't/can't make it backwards compatible but maybe you still have a PS3 rotting in a closet. Tomorrow at 11am Rockstar will unleash a new trailer. I can hardly wait.